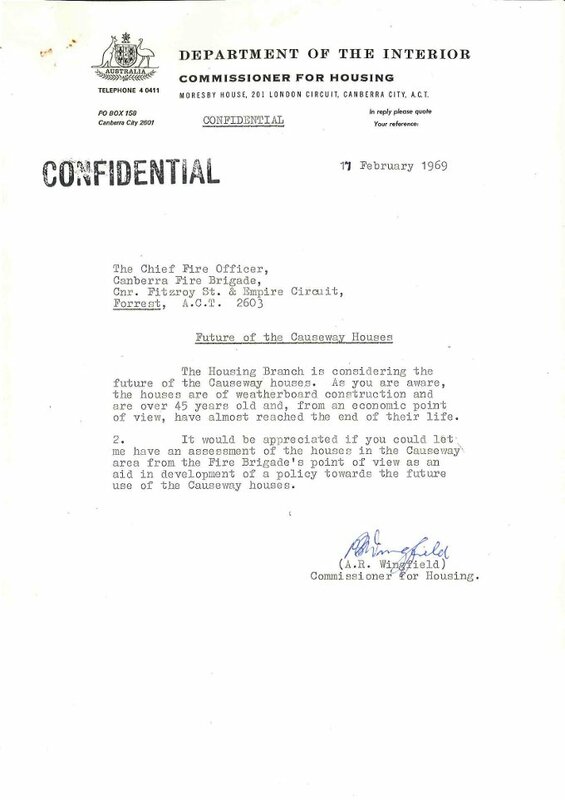 In February of 1969 the Department of the Interior's Commissioner for Housing, A.R. 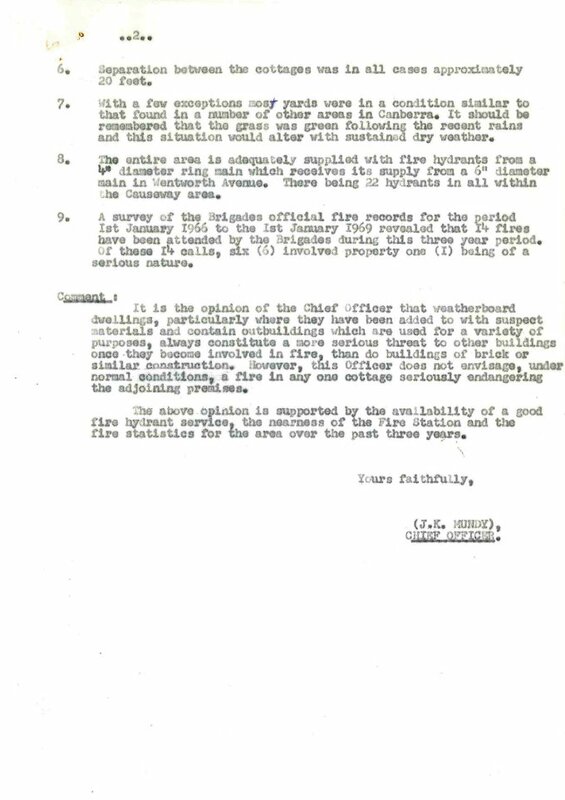 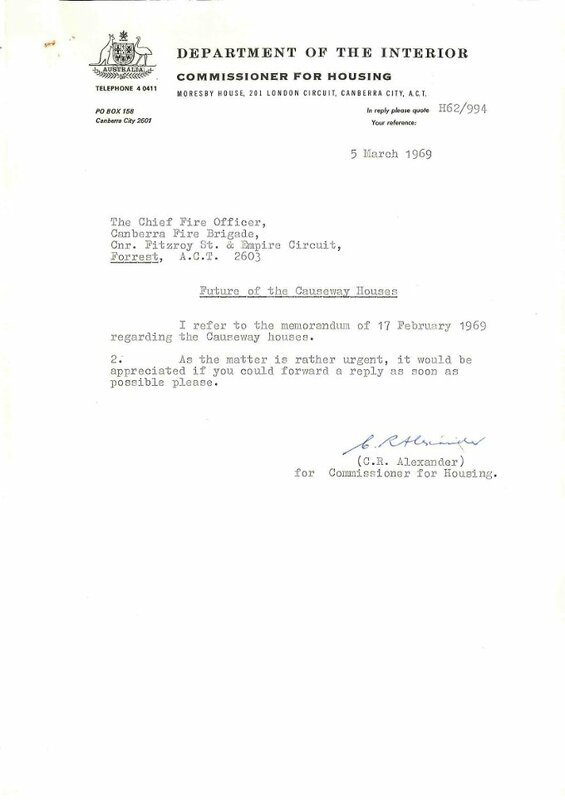 Wingfield, requested the Chief Fire Officer to inspect the houses in the Causeway. 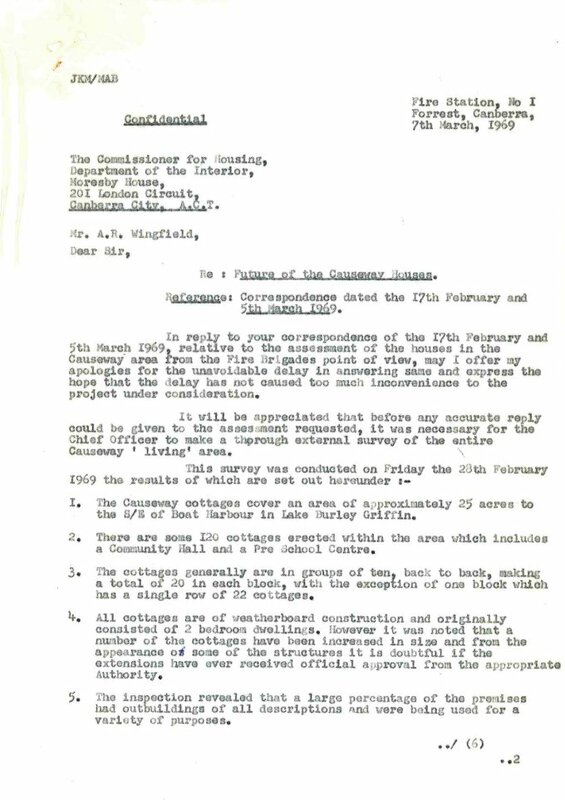 The Housing Branch were "considering the future" of the 1920s weatherboard houses that were sited next to Canberra's industrial area located in Kingston at that time. 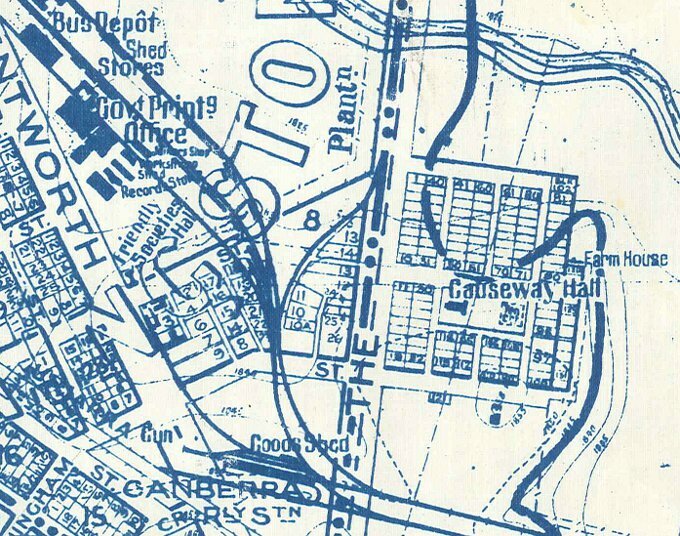 The following map from the 1930s shows the location of the Causeway. 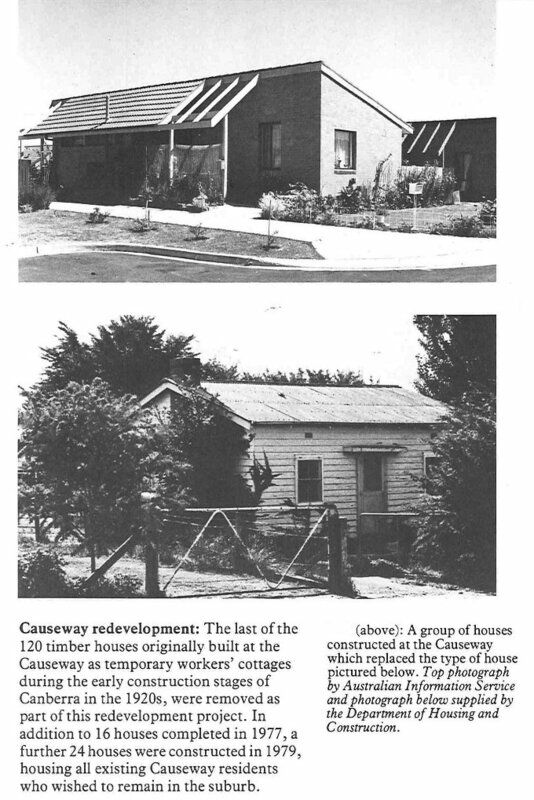 These houses were replaced with brick veneer housing in the late 1970s. 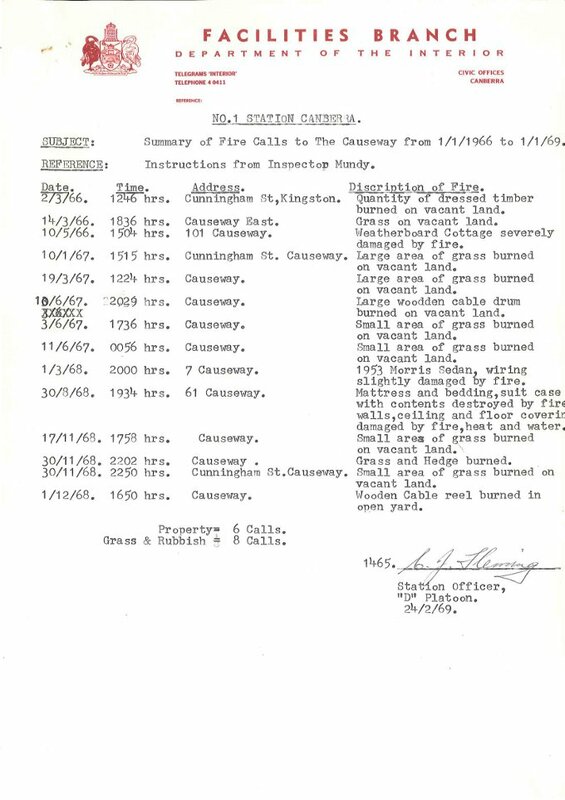 The file "109 - Department of the Interior - Causeway Cottages" documents the 1969 inspection.